Pong land. This area has plenty of amenities close at hand, and is very close to the Mabprachan Lake which offers some scenic view restaurants and a great Western Ex Pat community. This location offers very easy access to the Bangkok Motorway, Highway 36, and Laem Chabang & Rayong so perfect for any commuter needing any of the industrial hubs nearby. 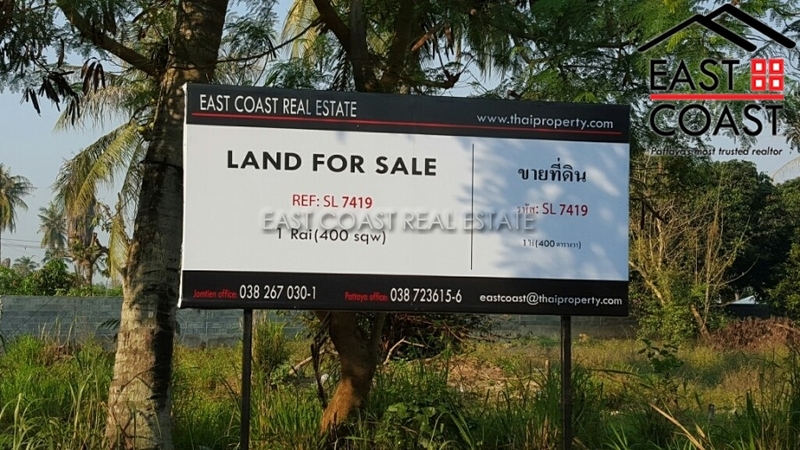 This 1 Rai (1,600sq.m) plot is offered for sale at just 6,625 Baht pr sq.wah which due to its location, having electricity available and access to water, plus almost ready to build on, is an aggressive price. There are many owners now building around the local area and all other land plots are advertised for sale at well over 3,000,000 Baht!!! Owned in Thai name, with tax and transfer fees split 50/50.